UFC on Fox 30 was the type of event that should have sparked excitement in the MMA space. 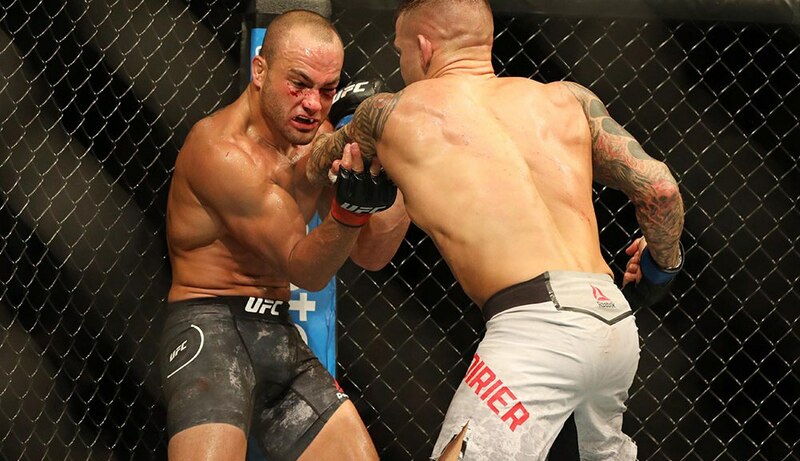 At the top of the card was a key lightweight affair between heated rivals in Eddie Alvarez and Dustin Poirier. In addition, there was Jose Aldo vs. Jeremy Stephens, Joanna Jedrzejczyk vs. Tecia Torres, and more. But even with all of that on deck, this event closed with the lowest overnight ratings in series history. That’s an important development as we enter the next phase of the UFC on television. According to multiple reports, UFC on Fox 30 garnered 1,461,000 viewers based on Nielsen fast nationals. (Fast nationals are the ratings that are captured from the Eastern, Central and Mountain time zones during the 8-10pm time slot.) This does not measure the Pacific time zone, but those numbers will be added when the official ratings come out on Monday or Tuesday. With UFC on Fox 30 having an earlier start time than most of its events, that 8-10pm time slot was filled with action from the key main card fights, and with the main event ending in the second round, the measure of viewers during that time frame included the finish of the main event, which is generally when viewership peaks. However, longer main events allow for more opportunities for viewers to tune in as the fight goes on. The previous ratings low was for UFC on Fox 27, an event that was headlined by Ronaldo "Jacare" Souza and Derek Brunson. The fact that UFC on Fox 30 came in at a lower ratings point illuminates a variety of issues that should be pointed out. First, UFC on Fox 30 featured three fights with important stakes for all six fighters involved. 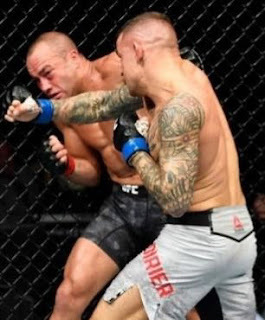 Poirier and Alvarez were fighting for an opportunity to be the next top contender for a lightweight title that will likely be contested later this year between Conor McGregor and Khabib Nurmagomedov. Alvarez was also fighting out his contract, and a win would have put him in a position of leverage when negotiating with the organization. In the co-main event, Jose Aldo was fighting for what many considered his legacy. The former UFC Featherweight Champion has announced that he plans on retiring at the end of his current contract. His recent performances looked like he was on the decline and he was facing a dangerous opponent in Jeremy Stephens. Aldo and Stephens both looked good in this quick fight, hurting each other multiple times, but it would be Aldo that finished the fight with a sickening body shot that sent Stephens crumpling to the ground. Then there was the women’s strawweight fight between Joanna Jedrzejczyk and Tecia Torres. The 115-pound division is deep with challengers and it will be interesting to see how the result of this fight plays out for both women. 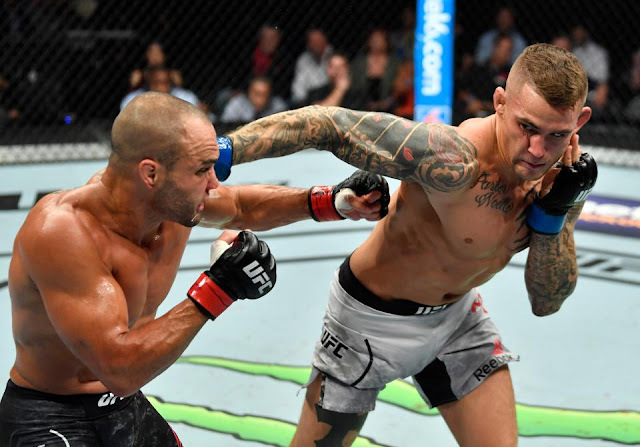 As a whole, there were a number of intriguing storylines and fights with stakes on the UFC on Fox 30 card. 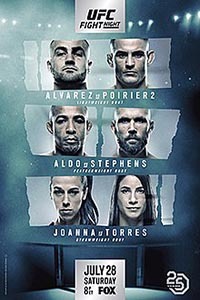 This made the event different from a lot of the other cards that have occurred in recent months, as from June through July, eight different UFC fight cards occurred, and other than the two pay-per-view events, it’s hard to find another card that had as much at stake as UFC on Fox 30. Yet and still, that was not enough to end the continuing decline in ratings that have affected the UFC year over year. Is this yet another example of the impact of oversaturation on the sport? Does it even affect shows that fans should care about? The summer is a quiet time for sports, so there isn't much competition for viewers, but it’s still a time in which the UFC has traditionally struggled to bring in high ratings numbers – even with stacked cards such as this one. With the UFC moving over to ESPN+ in January, it will be interesting to see how that platform manages this issue. Regardless, UFC on Fox 30 should have been a “success” for the UFC. This card had a lot to offer, but MMA fans were not chomping at the bit for it. At some point in time, the UFC and its television partners need to recognize that this decline in fan enthusiasm is a concern that requires their full attention to address.